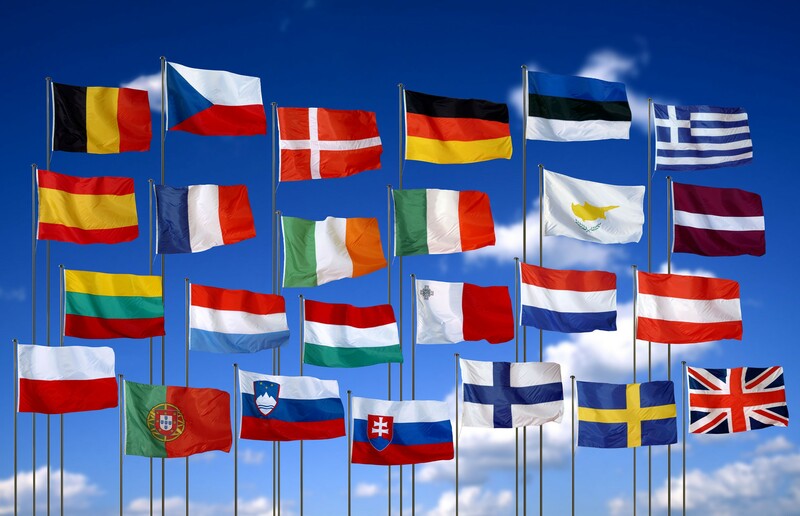 The European Union is a group of countries mostly found in Europe that is bound by economic and political ties. It was founded in April of 1951. Only 6 countries were part of the original treaty compared to the 28 that are apart of it today.These countries consisted of Germany, France, Italy, the Netherlands, Belgium and Luxembourg. However, these six countries definitely went against the norm of what was common at the time. After the second World War the continent of Europe was divided into the segments of East and West. Because of this division a Cold War between the sides lasted 40 long years. The main reason that the European Union was formed was due to the amount of destruction from World War 2. The idea behind creating a union of countries was so that a war as devastating as WWII would not ever happen again. Before the European Union was created there was effort by countries of Western Europe to come together both economically and politically. This unification was called the Council of Europe. This was established in 1949. The six countries aforementioned wanted to take the Council of Europe to another level so that is why the European Union was formed. The European Union followed the idea of a French Foreign Minister named Robert Schuman. This idea was later called the “Schuman Plan.” According to this plan the countries would have the same management for being in charge of their heavy industries such as those of coal and steel. In doing so, this wouldn’t allow any of the countries to turn on each other because they would all be bounded together. The hope was, that in the future a unification of nations would prevent further conflict involving war. Behind the plan of unification were diligent workers and visionaries. This group of men are considered the “Founding Fathers” of the European Union so to speak. Their names are Konrad Adenauer, Joseph Bech, Johan Beyen, Winston Churchill, Alcide De Gasperi, Walter Hallstein, Sicco Mansholt, Jean Monnet, Robert Schuman, Paul-Henri Spaak, Altiero Spinello. The main names that pop out and are easily recognizable are Winston Churchill and Robert Schuman. 1962- The EU accepts a “common agricultural policy” for its members. 1963- EU signs first international agreement which makes it the world’s largest supplier of help to lesser countries. Throughout the years the foundation and evolution of the European Union has completely changed how Germany works and operates. Instead of being completely independent like in its previous history, Germany depends on other countries. However with this said, it is still an economic leader and a strong point among the other nations. The other countries rise and fall with Germany, so whatever happens to Germany normally reflects how the EU is. So, ever since World War 2 the European Union has really changed how Germany and its economy work. http://www.euintheus.org Delegation to the U.S.